US Senator Mark Warner, Virginia Democrat and co-chair of the Senate India Caucus, has lamented the lack of clarity by the Indian government with regard to economic reforms even though it had been promised after the state elections. Warner, who headlined the gala reception that kicked off the 37th Anniversary Leadership Summit of the US-India Business Council that was held in conjunction with the Third US-India Strategic Dialogue, said, "When we were in India in January, people said, 'Just wait until state elections are over.' Well, we still have not a lot of clarity." 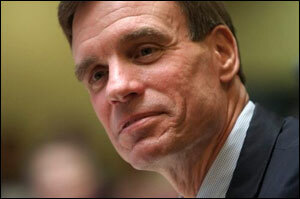 Warner had led a delegation of the US House and Senate members to India in January. The lawmaker, who was given a rousing introduction by the new USIBC president, Ajay Banga, CEO of MasterCard Worldwide, said that the erstwhile Virginia Governor and multi-millionaire co-founder of Nextel, was perhaps the best friend US and Indian business had in Congress. He went on to acknowledge that both the governments are now facing "some challenging times." On lack of clarity from the Indian government, the senator quipped, "We obviously have to wait for our presidential elections to be over for more clarity on some of the larger economic issues." But he said it was imperative that such clarity be forthcoming soon because the opportunities for both nations "are tremendous," and should not be lost on account of domestic politics. Warner said the opportunities ranged from "advancing the cause of the bilateral investment treaty, to advance the cause of greater collaboration between educational opportunities," and pointed to the partnership agreement "we signed on our trip with community colleges to see if we can mirror more opportunities and skills training." He said while the US-India Strategic Dialogue necessarily would seek to "continue strategic alignment between our two great nations and our combined efforts against terrorism," he hoped that there would also be conversations "about more direct investment in multi-brand retail, trying to sort out issues on the civilian nuclear deal, which remains in limbo because of the Indian parliament's nuclear liability law." Warner agreed that America also "needs to do more on some of the visa issues that we have," which has become an anathema to Indian business, which believes that Indian professionals are being targeted to discrimination and being denied H-1B and L-1 intra-company transfer visas at some of the US consulates because of Congressional concern in some quarters that believe that Indian companies are involved in fraud and abuse. "These are areas that we need to work on, but we also have to recognise a relationship that literally 20 years ago, was one between two enormous nations, but a relationship that was not built upon a great underlying partnership," he said. Warner said, "No two relationships between two nations have made more advancement in the last 20 years than the US-India relationship and we need to continue to work on that." He said he wasn't sure "if all of my American and Indian colleagues understand that the Senate India Caucus is the largest bilateral Caucus in the United States Congress." Warner said, "Both the Senate and House Caucus (on India) alike are both bipartisan, both are very large and represent the enormous opportunities we have between our two nations."